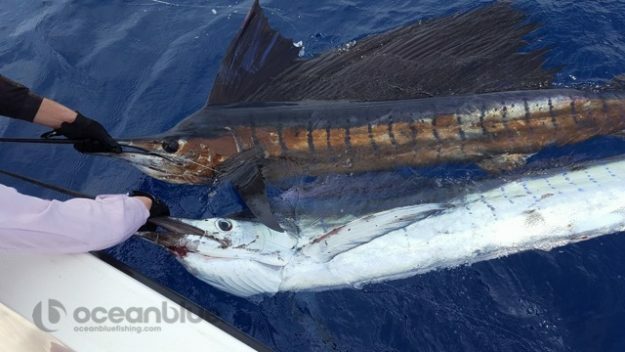 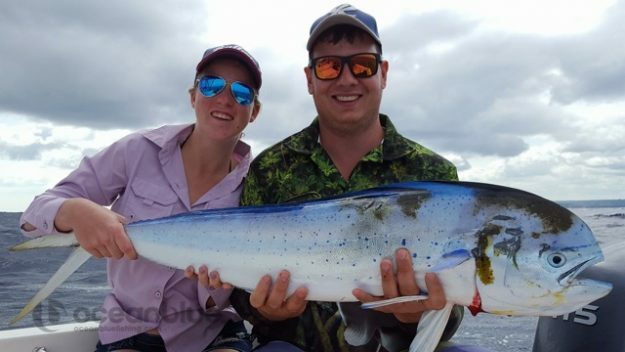 Couple Hooked On Fishing Vanuatu w Ocean Blue! 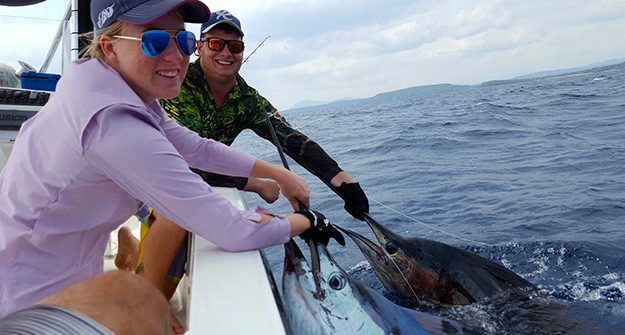 Traveling abroad with your partner on a fishing holiday can be a wonderful experience, bringing you closer together while expanding your appreciation, knowledge about fishing. 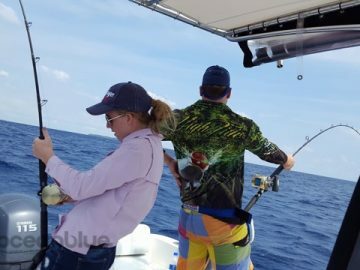 Whether you spend 2 days or a week fishing together, can be relaxing, fulfilling, but most importantly a whole lot of fun. 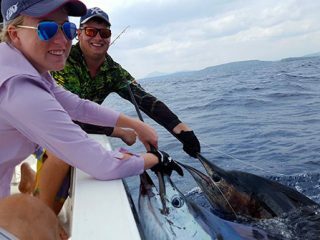 We had the pleasure in hosting Dylan Collard and Madeleine Beavis to Trees and Fishes this week for our couples sports fishing adventure. 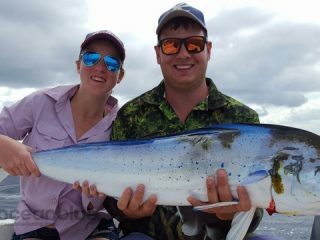 The couple were teamed up with Stephan Moderan, fishing aboard our smaller vessel, “Andiamo”, 17ft Edgewater centre console. What an epic few days for this young couple, fishing on light gear and landing some solid fish including: 15kg Yellowfin tuna on PE 8, 8kg Mahi Mahi on PE6 and topping their trip with a double hook up on sailfish both on PE 6 with biggest sail at 48kg. Had an absolute blast, we will most certainly be back for some more fish. 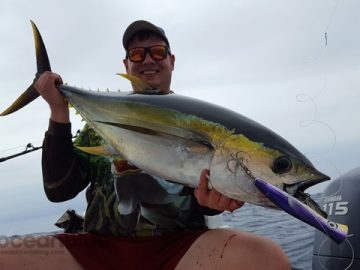 Thanks heaps. 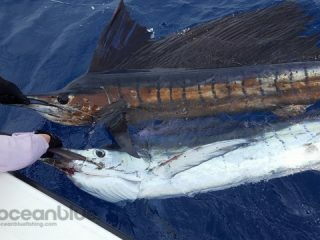 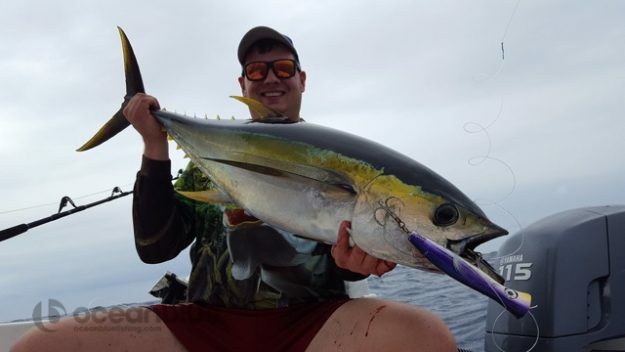 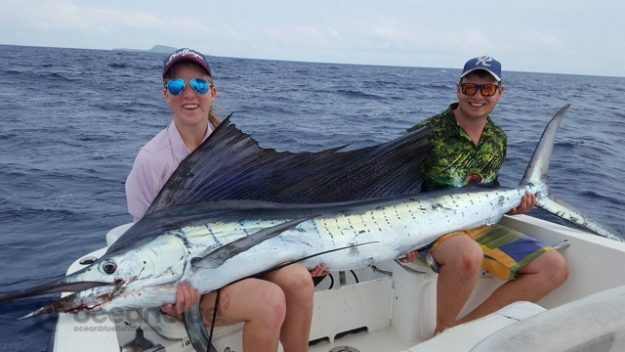 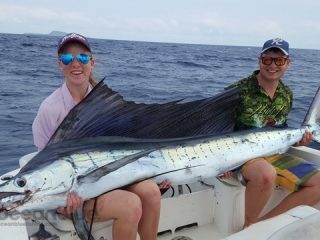 Seems like Ocean Blue has Dylan and Madeleine hooked on fishing Vanuatu again very soon. 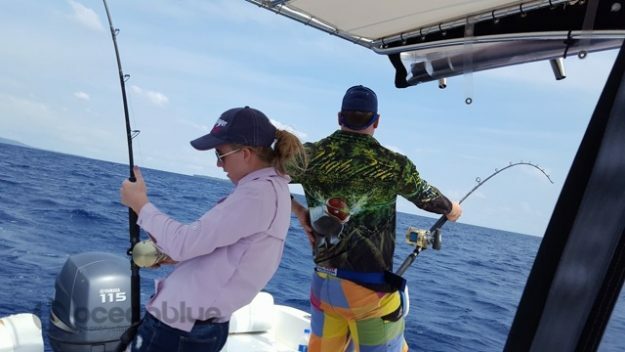 Couples that fish together stay together! The fishing was second to none!